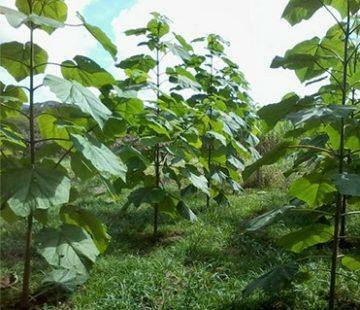 The Paulownia Elongata (“elongated”) is a species of rapid growth with a long and straight trunk, 5 years after the pruning reaches the right size for the industrialization of its wood. The Paulownia Elongata reaches a height of 28 m, which is much higher than that of the previous varieties. 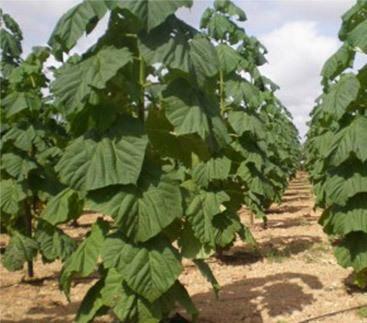 The width of the crown corresponds to the intermediate variety, which is suitable for a plantation of 5m x 6m and 6m x 6m. Being thermophilic, it is the most appropriate tree for the Mediterranean climate and it is the most suitable variety to cultivate in warm countries such as: Italy, Spain, Croatia, North Africa, etc. 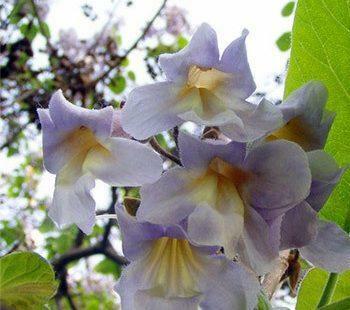 The Paulownia Elongata, like the Tomentosa, is a potent carrier of honey, in its wide crown there are thousands of flowers whose taste is pleasing to bees. 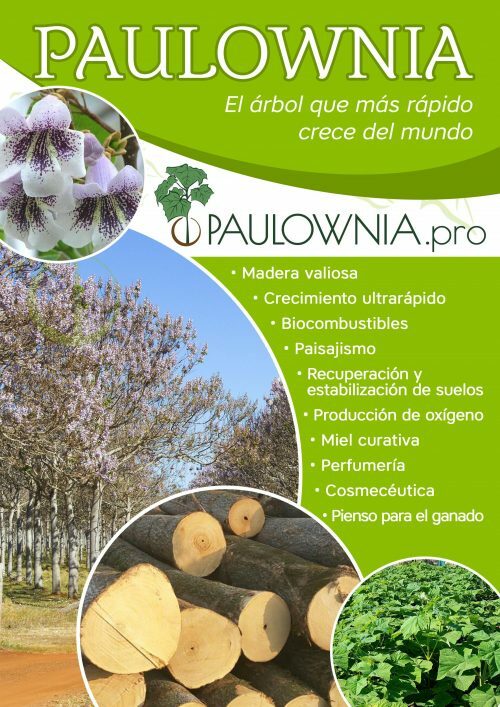 Due to its rapid growth, it is ideal to create plantations destined to obtain biofuels and high quality wood. It must be borne in mind that, for the cultivation of this species or its clones, lifting mechanisms and high stairs will be required to take care of the upper part of the trunk and the crown. Therefore, on the one hand, we obtain a little more wood than other species, but we also have more work with pruning and caring for the upper part of the stem.